ARE FALSE STATEMENTS undermining America? James Stewart thinks so, and he offers as proof four recent scandals in which famous people lied to investigators in order to conceal their wrongdoing. Martha Stewart sold her holdings of ImClone stock after receiving a tip from her broker that the company’s chief executive had just dumped his holdings ahead of an FDA decision. Trading stock on the basis of inside information is illegal, but nearly everyone convicted of insider trading is either an employee of the corporation whose stock is traded or a recipient of a tip from an insider. Stewart was not convicted of the underlying crime, but for false statements, perjury, and obstruction of justice stemming from her lies to investigators. She spent five months in a room stylishly appointed by the federal government—Bureau of Prisons-modern. Scooter Libby leaked the identity of C.I.A. agent Valarie Plame to the press after her husband wrote a piece in The New York Times that accused the Bush administration of using lies to justify the war in Iraq. A statute prohibited individuals from knowingly disclosing the identities of covert CIA agents, but prosecutors did not charge Libby with violating that law because they could not prove that he knew Plame was a covert agent. Libby, however, told lies to throw investigators off his scent, and was convicted of perjury, obstruction of justice, and false statements. President Bush commuted his sentence but Libby’s felony conviction remained on the books, he paid a fine, and he forfeited his license to practice law. Barry Bonds took steroids over a number of years in order to enhance his athletic performance, as did many other athletes in baseball and other professional sports. Prosecutors never charged him for illegal use of performance-enhancing drugs, but in the course of their investigation of the suppliers, they brought Bonds before a grand jury, where he lied about his drug usage. After the writing of this book, Bonds was tried and convicted of obstruction of justice, but the jury hung on perjury. Bernard Madoff bilked investors of billions of dollars by luring them into a Ponzi scheme. By offering investors consistent but not outrageous returns, he persuaded them to park their money with him for decades. But after Lehman collapsed, investors scrambled for funds, and Madoff did not have enough money to pay the billions of dollars he owed. For Martha Stewart, Bonds, and Libby, it was the cover-up, not the crime. For Madoff, it was the crime, not the cover-up. Madoff pled guilty to fraud and received a sentence of 150 years. Prosecutors did not bother to charge him with obstruction of justice (though he lied to investigators) because they could convict him of the underlying crime. Aside from the Madoff case, which fits uneasily with the others, the three main stories in the book are more morally complex than Stewart acknowledges. If you did not commit a crime (or a crime serious enough to prosecute), but you lied to investigators because you did do something that was embarrassing, should you go to jail? Stewart says yes, pointing out that perjury and obstruction of justice waste the government’s resources and interfere with investigations that may ferret out the guilty. Bonds’s refusal to testify about his drug use, for example, hampered efforts to collect evidence against the drug suppliers. Yet these celebrity defendants suffered greatly as a consequence of acts for which they were not prosecuted. All were publicly humiliated, their careers ruined. All of them did wrong, but the level of culpability or the harm to others was low. (Libby did harm Plame by destroying her career as a covert agent, but inadvertently or possibly recklessly, not deliberately.) And all of them were doing what other people were doing who did not get prosecuted. Moral qualms about sending people to jail for falsely denying guilt persuaded federal courts at one time to read the false statements statute narrowly and permit defendants a so-called exculpatory no. The doctrine, since repudiated by the Supreme Court, was a concession to human weakness, to the risk of prosecutorial abuse, and to sensitivities about tricking people into incriminating themselves in violation of the Fifth Amendment. It also made sense for more hard-nosed reasons. Prosecuting and jailing people requires resources: for every Martha Stewart who is taken down at great expense, real criminals go free. James Stewart is right that perjury raises government costs and should be deterred, but it makes even more sense to prosecute perjury that conceals real harm and not to prosecute perjury that conceals activities that are embarrassing but of no public importance. The exculpatory no rested on this reasonable judgment. The perjury and obstruction of justice convictions in cases like those of Stewart, Bonds, and Libby mainly save face for the government, which launches an investigation amid great fanfare and comes up short. Stewart does not answer these arguments. Instead, he plays up the disagreeable aspects of each defendant’s personality and activities—Martha Stewart bossed around her subordinates, Bonds swaggered and philandered, and Libby belonged to the hated Bush administration—so we don’t feel bad about their ruined lives. If legal justice is questionable, poetic justice can always take its place—at least in journalistic narratives if not in life. The book exploits the frisson that we all feel at seeing the mighty brought to their knees. But the cases are not really about perjury. Perjury and other forms of lying to authorities play a subordinate role in the stories. Martha Stewart’s story does not illustrate the harms that perjury inflicts on the judicial process; it illustrates the hazards that face celebrities who yield to a minor impulse to break the law and then must decide whether to enact a cover-up in order to preserve their reputation or come clean. 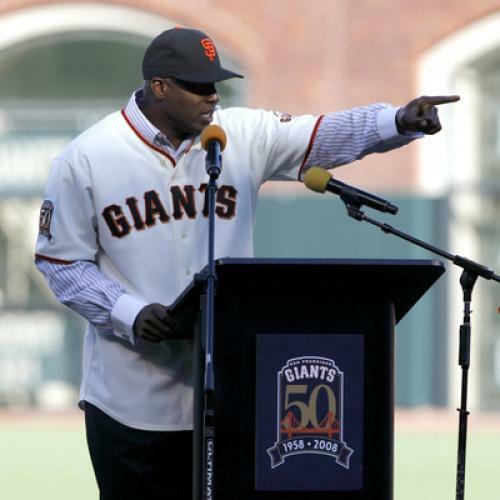 Bonds plays a small part in a larger story about the role of performance-enhancing drugs in professional sports, and himself disappears from the narrative as Stewart fills in the background and describes the main characters—the colorful gaggle of dealers, handlers, and trainers—in the scandal. Libby and his lies belong in footnotes to a history of the Bush administration’s efforts to persuade the public to support the war in Iraq. Madoff’s story raises numerous questions about the regulation of the American financial system, and the workings of finance, which Stewart never addresses because of his focus on the insignificant issue of Madoff’s lies to investigators. Is it surprising that when bumbling SEC investigators asked Madoff whether he had committed any crimes, he said no? What really connects the stories is not perjury but celebrity. Each of these cases sent the media into a frenzy because of the fame of the people involved, either as perpetrators (Stewart, Bonds), morally implicated bystanders (Bush and Cheney in the Libby case), or victims (in the Madoff case). In the first three cases, prosecutors faced difficult choices owing to the prominence of the suspect. Prosecuting celebrities is risky and difficult: they can afford top lawyers, they can draw on powerful friends in high places, and the investigation and trial receive intense scrutiny from the press. Not prosecuting celebrities provokes cries of favoritism in egalitarian-minded America. Meanwhile, celebrities depend on a carefully maintained public image and have a lot more to lose from even minor convictions than ordinary people do, and so their effective punishment often exceeds what the wrongdoing calls for. Stewart does not do much with this potentially interesting problem, dwelling instead on the more high-minded but less interesting issue of perjury. But the book is not well thought out. There is no reason to write about these four cases together except to exploit their high profile. The book vibrates with celebrity buzz and feeds off the reader’s prurience. Aside from the Madoff scandal, the cases provoke little serious interest and lack public importance. As for perjury: it has always been common. Nearly every criminal perjures himself or lies to investigators in order to escape jail. If people with white collars perjure themselves today more than they used to do, the explanation is surely that Congress has increased the number of white collar crimes and enhanced punishments. In an earlier era, no one would have investigated Martha Stewart, Scooter Libby, or Barry Bonds for the activities about which they lied. They would not have needed to lie to the authorities in order to avoid conviction or a long sentence. Eric A. Posner is professor of law at the University of Chicago.